This is crazy! PayPal has developed a way for two phones to make payments to each other using the near-field communications on Android. Paypal announced this at their MobileBeat conference today. While there is currently only one phone in the US capable of the NFC transactions PayPal has worked out, PayPal is sure of that the method is an important step in keeping up with competitors like Square and Google, companies that are hard at work developing their own mobile payment methods. A person with an NFC-capable phone can request a certain amount of money from a friend. If the two phones touch their NFC phones together, both phones vibrate, and the money transfers from one PayPal account to the other. The only NFC-enabled phone currently available in the US is the Samsung Nexus S. The phone-to-phone payments contrast those of the recently announced Google Wallet service. PayPal and Google are head on against each other in developing NFC based applications. 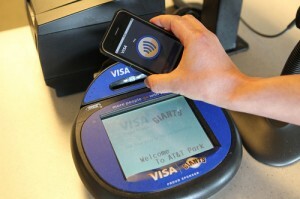 PayPal recently sued Google over stealing two employees integral to the development of its NFC applications. Previous Kindle 3G is $50 cheaper! Next Microsoft Launching its Own Social Networking Product!